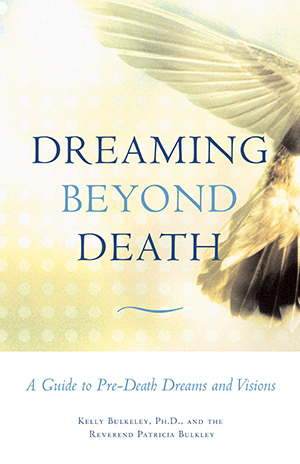 Drawing from a rich understanding of dreaming in culture, history, psychology, and modern dream study, Kelly Bulkeley and Patricia Bulkley’s Dreaming Beyond Death explicitly addresses three common aspects of pre-death dreams and offers interpretations that will aid both dying persons and their caregivers. Rev. Patricia Bulkley’s experience with the transformative possibilities of pre-death dreams as a hospice counselor lend this book a deeply personal and human touch, while Kelly Bulkeley’s insightful analysis and intellectual framework provide an understanding of the deeper meanings behind this type of dreaming. A final chapter provides resources and concrete methods for caregivers to respectfully guide a dying person through the dreaming process to a sense of peace.